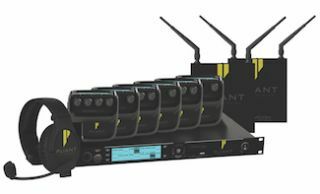 The What: Pliant Technologies, the new professional products division of CoachComm, is introducing a new professional wireless intercom product, CrewCom, at InfoComm 2016 (Booth C6046). The What Else: CrewCom is based on a new technology platform that offers the industry’s highest user density, unparalleled range, and scalability, according to the company. The product features excellent voice quality, one of the industry’s smallest fully featured professional full-duplex wireless radio packs, multiple simultaneous frequency bands, as well as a host of user features. With CrewCom, production crews large or small can now deploy communications solutions to connect more people in more places than ever before. CrewCom is an entirely new, innovative approach to professional wireless intercoms, designed to handle almost any application from simple out-of-the-box solutions to large-scale designs for live sound, broadcast, and industrial environments. It is a versatile communications solution built on a highly scalable platform in which a family of products utilizes a proprietary network. Pliant designed a new proprietary network for CrewCom called CrewNet. This network coordinates and transports all system timing, audio, signaling, and controls. CrewNet is capable of operating over standard Cat-5e (or greater) and/or single-mode fiber lines, breaking the current barriers for wireless intercom range and expandability. In addition, CrewCom’s intuitive graphical software called CrewWare provides for comprehensive offline configuration, online control, and real-time monitoring of all system components. These new software tools augment CrewCom’s ease-of-use and flexible system scalability.